It is no secret, we all are growing older with one of our favorite hobbies or maybe occupations gardening. If you are like me, you have learned a few lessons over the many years. These are lessons that often come hard after a number of failures. 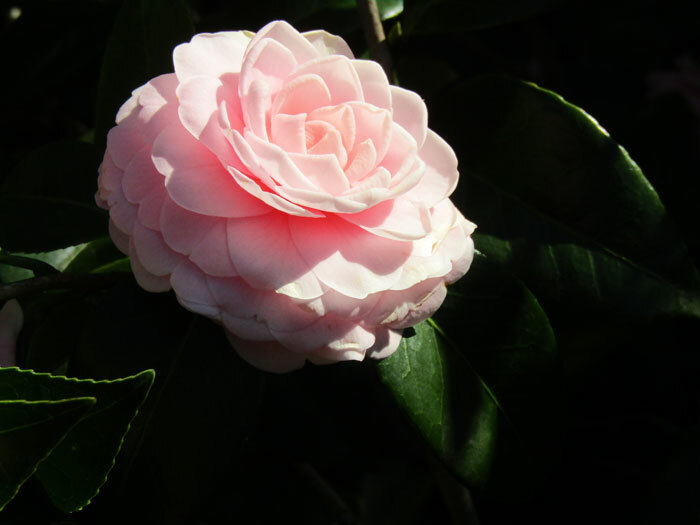 So if you are ready, here are some things gardening has taught me. 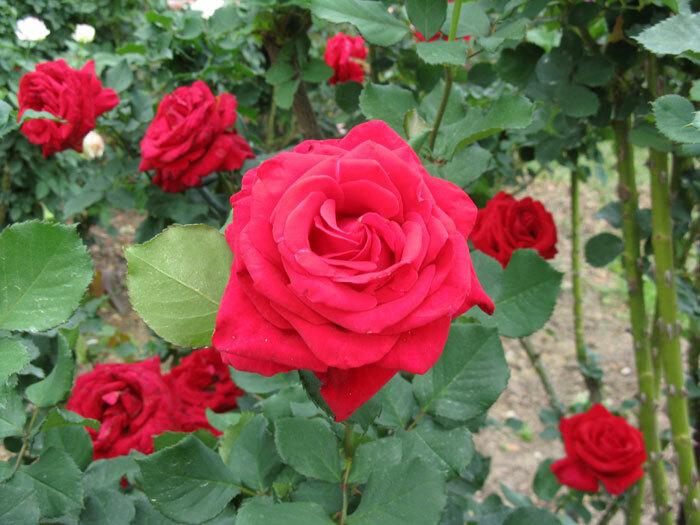 Number one has to be it is best to improve soil for vegetables, herbs and flowers. You don't have to work the organic matter into soil before adding trees, shrubs and ground covers. 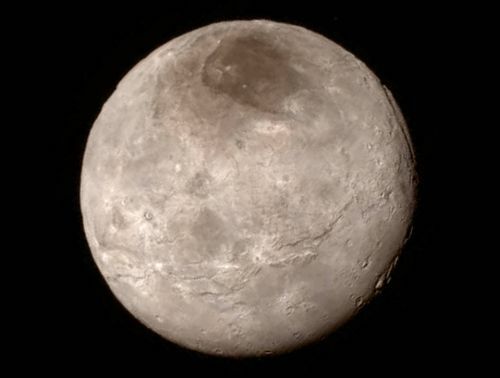 They eventually have to grow out into the natural surrounding soils. But for the quick growing crops it is really important. Well this is a start. Now take a look at eight more lessons to see if what I have learned can be of help to you. 4. Starting seeds saves money - Especially flowers and vegetables. 5. Containers are a good way to grow - Start container gardens for patios, entrances and walkways. There you are ten lessons learned. I bet you can add more. Most lawns made it through the winter with little injury; give them needed care. Complete feeding of bahia, bermuda and St. Augustine lawns to encourage spring growth. Delay feeding centipede and zoysia lawns until they begin new growth. Weed & feeds can be substituted for regular feedings. Know your weeds and the herbicides that provide control; make applications as needed. Fertilized but yellow lawns can often be regreened with an iron only application. Add new sod or plugs to repair severely damaged lawns. Check the soil acidity of all home lawns; adjust the pH if needed. 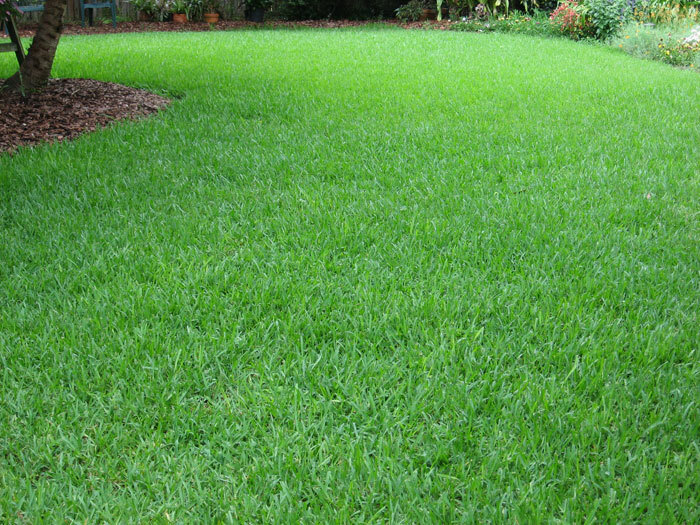 Mow zoysia lawns to the desired 2- to 3-inch height. Remove weeds, adjust the pH and till the ground before installing a new lawn. Starter fertilizers can be used with new lawns to supply phosphorus for root growth. A mild winter means chinch bug controls are often needed for St. Augustine lawns. Remove excessive quantities of tree leaves from home lawns before mowing. Spring is often dry; water when the lawn begins to show moisture stress. Adjust sprinklers to avoid sidewalks and roadways and water only the turf. Apply up to three-quarters of an inch of water at each irrigation. Aerate lawns and remove thatch if needed. Don't waste plant growth; do needed pruning before new shoots form. Many plants normally affected by cold are still green; prune these to keep them in bounds. rune the dead from declining plants several inches into healthy wood. Redirect the growth of out of bounds shoots and thin trees and shrubs as needed. Prune spring flowering trees and shrubs after the blossoms fade. Keep palms healthy; only remove the brown fronds plus fruiting stems as needed. Rake and use leaves as mulch or compost them for later use in the gardens. Keep weeds under control; control the young growths and apply a mulch. Plant a tree, shrub or vine on National Arbor Day April 26. Make sure the root balls of all plant are moist at planting time. Build berms at the edge of root balls of new trees and shrubs to direct water to the roots. Give all poinsettias a spring trimming; repot new ones or add them to the landscape. 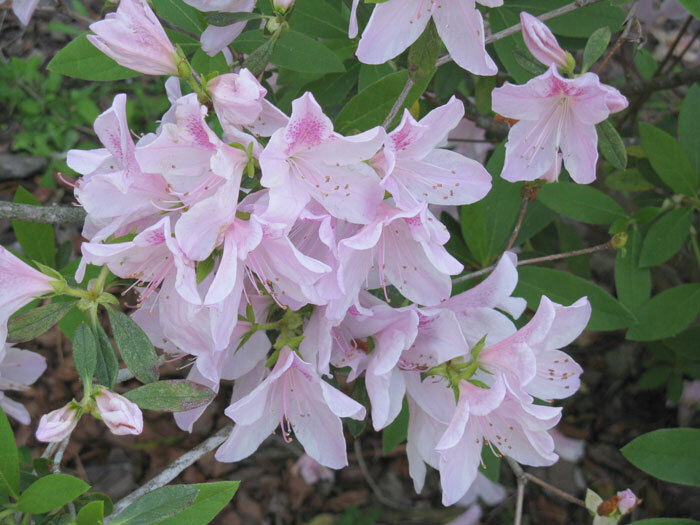 Maintain 2- to 3-inch mulch layers with trees and shrubs; one inch in flower beds. 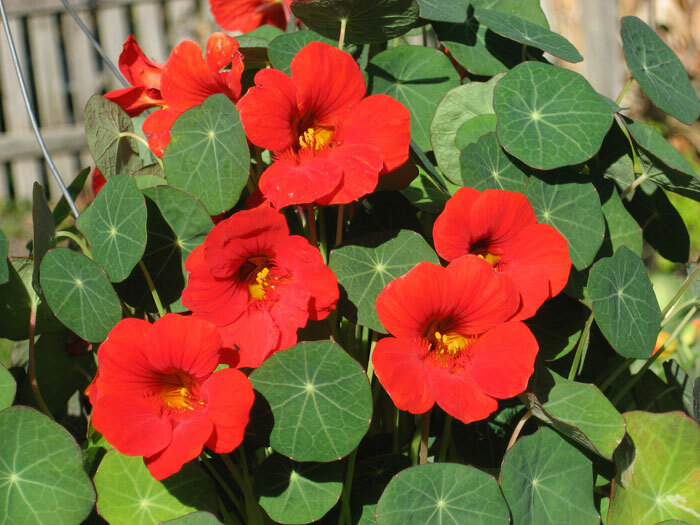 Water annuals and perennials when the soil begins to dry or they show signs of wilting. Use slow release fertilizers that can feed landscape plants for months. Palms need special feedings; use fertilizers made for palms every 3 to 4 months. Inspect older trees and trim as needed before the hurricane season begins. Be safe; have arborist do the pruning of larger and older trees. Trim old flower stalks from amaryllis, amazon lilies and other spring flowering plants. Water new plantings as needed to keep the soil moist. 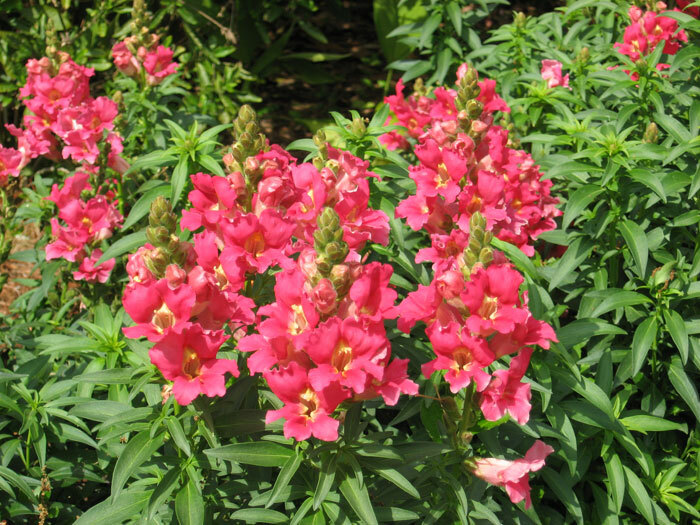 Divide perennials before the really hot weather arrives. Transplant and feed water lilies and bog plants. 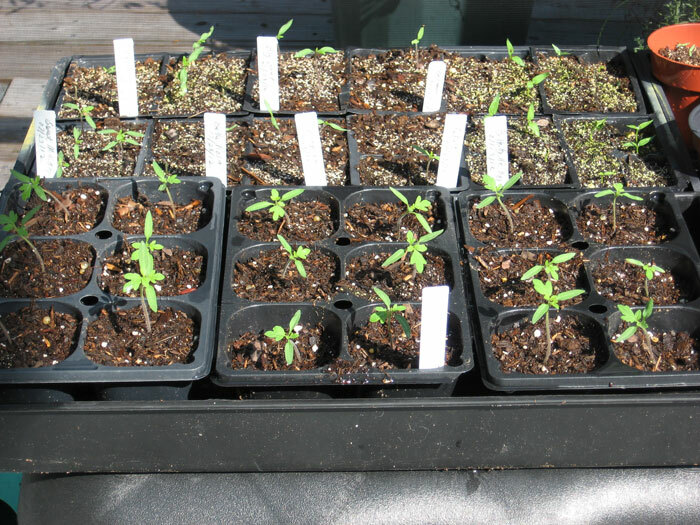 Hurry to plant tomatoes, peppers and eggplants in the garden. Select larger transplants for this time of the year. Remove cool season crops completing their harvests and add the seeded crops. 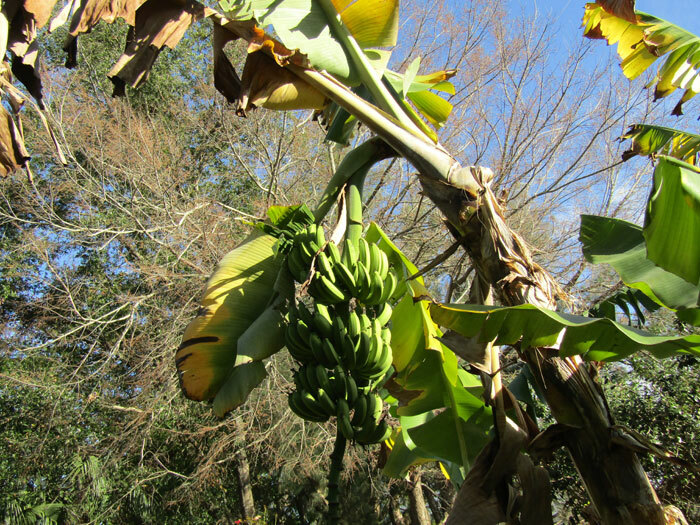 Many bananas were damaged by the cooler weather; remove declining portions. Trim tropicals unaffected by cold as needed to keep them in bounds. Citrus greening has become a devastating problem; remove severely affected trees. Control citrus psyllids at each flush of growth; use sprays or soil treatments as instructed. Apply minor nutrient sprays to citrus trees at each flush of growth. Finish granular spring feedings of all fruit trees. Start sweet potatoes to have transplants for May. Pant tropical vegetables that won't mind the summer heat and humidity. Complete herb plantings before hot weather arrives; many grow best in containers. 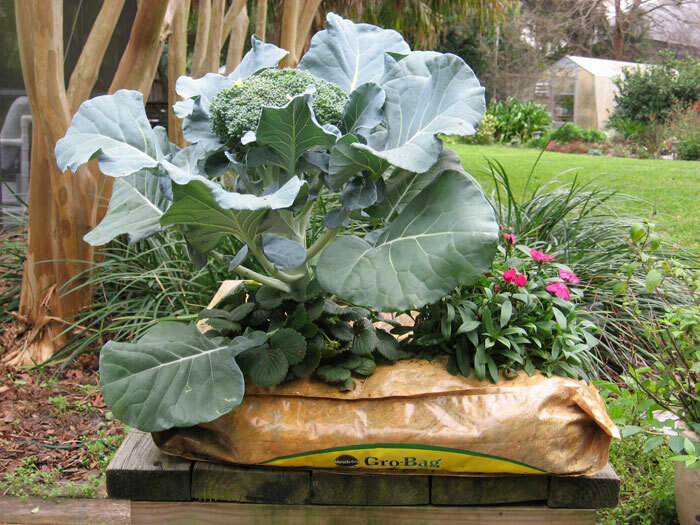 Feed vegetable plantings lightly every 3 to 4 weeks or use a slow release fertilizer as labeled. Help maintain a moist soil with a 2- to 3-inch mulch layer with all but citrus. Add edible fruit bearing trees, shrubs and vines to the landscape. Blueberries need a very acid soil; have the soil pH checked before planting. Grow blueberries in pine bark fines or add them to non acid soils. Winter weary foliage plants would love a filtered sun location outdoors to recover. Groom to reshape and remove declining portions. Trim overgrown stems of foliage plants to make cuttings. Repot foliage plants that have outgrown their containers. Trim Christmas and holiday cactus if needed to keep compact; root the cuttings. 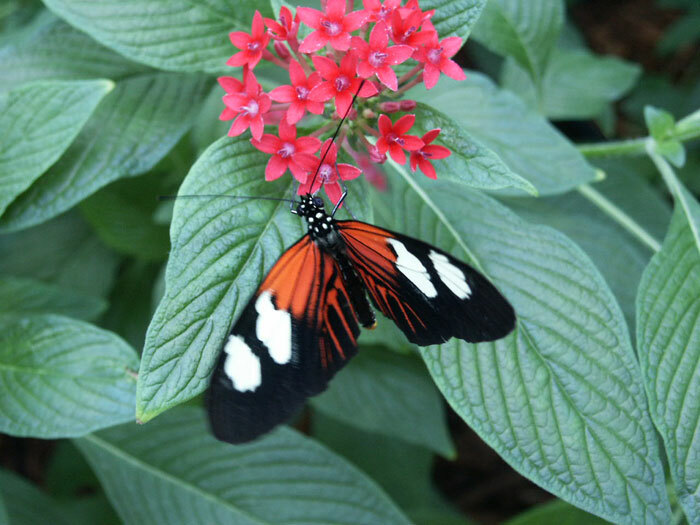 Give foliage plants a spring feeding with a slow release fertilizer. Transplant amaryllis that flowered during the winter to the garden or grow in containers. Wash away dust and insects from leaves and stems. 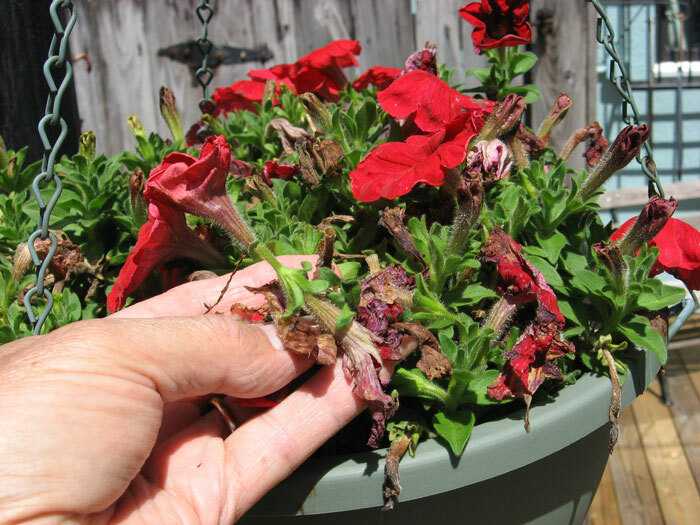 Insects like scale, mealy bugs & thrips may need an insecticidal soap or oil spray for control. Move orchids & bromeliads outdoors to a shady location. 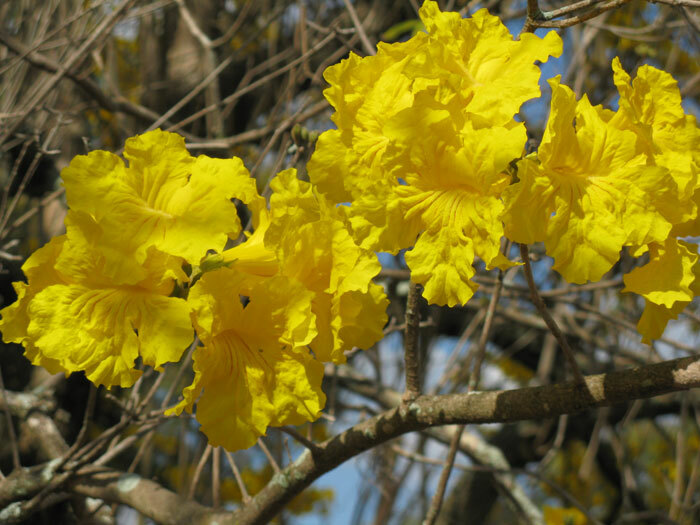 Most forced bulbs cannot be regrown in Florida; toss the plants and keep the containers. Consider using foliage plants for shady landscape sites. 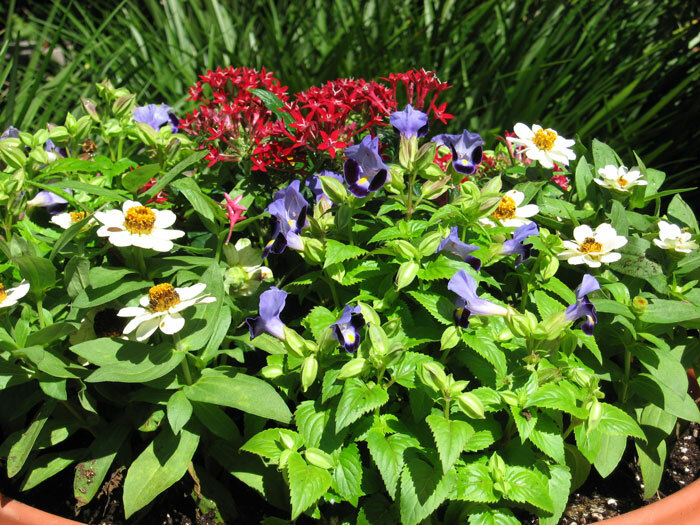 Flowers: African daisy, ageratum, aster, bacopa, balsam, begonia, black-eyed Susan, blue daze, browallia, bush daisy, cat's whiskers, celosia, cleome, coleus, coreopsis, cosmos, crossandra, dahlberg daisy, diascia, gazania, gaillardia, gerbera, goldenrod, impatiens, Joseph's coat, lantana, licorice plant, lisianthus, marigold, melampodium, Mexican sunflower, million bells, moon flower, nicotiana, nierembergia, pentas, periwinkle, Porterweed, portulaca, purslane, salvia, sunflower, torenia and zinnia. Vegetables: Calabaza, cantaloupe, cassava, chayote, cherry tomato, cucumber, dasheen, eggplant, Jerusalem artichoke, jicama, lima bean, malabar spinach, malanga, New Zealand spinach, okra, pepper, roselle, Seminole pumpkin, snap beans, squash, Southern pea, sweet potato, tamarillo, yam and yard-long bean. Herbs: Anise, basil, bay laurel, borage, cardamom, chives, coriander, dill, borage, edible ginger, lemon balm, oregano, Mexican tarragon, mint, oregano, rosemary, sage, savory, sweet marjoram and thyme. Bulbs: Asiatic lilies, achimenes, African iris, agapanthus, amaryllis, Amazon lily, blackberry lily, blood lily, bulbine, caladium, canna, crinum, dahlia, eucharis lily, gingers, gladioli, gloriosa lily, society garlic, tuberous begonias, and rain lily.